When that final gut-curdling scream rang out on that oh-so-familiar street in front of that oh-so-familiar house in that oh-so-familiar town from our oh-so-familiar anti-heroine, just as I had after every other hour, I raced to my laptop to churn out my blog post without much thought. I was a bit flippant, and ill-tempered, as that newly settling frustration of Lynch pulling the rug out from under us (again) was just beginning to simmer, and in my post (and haste) I wrote off the whole series to that Lynchian trope of being caught in an endless loop of suffering from which you can never escape no matter how hard you try. 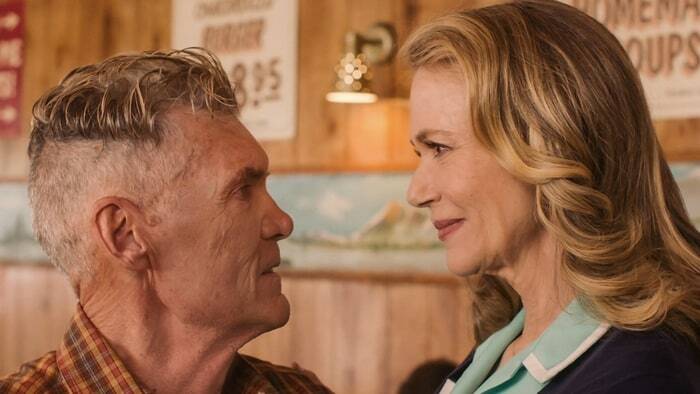 And I still basically stand by that assessment…but oh, Twin Peaks, you are both just that and so much more. Much like life itself, you are a walking contradiction. A mirror unto yourself. NOTE TO READERS – These weekly posts are meant to recap what happened (SPOILERS AHEAD) and provide conversation starters for fans to comment and share theories. Do not read if you have not watched this week’s hour(s) yet. THIS IS THE EPISODE. I repeat. THIS IS THE EPISODE. We’ve all been waiting for. After taking Richard Horne to the bogus coordinates provided by Jefferies last hour and using the boy (whom he later refers to as…DUN DUN DUN…my son) as bait leading to a most electrifying (and satisfying) destruction of said bad seed, Bad Cooper texts Diane, leading her to remember the coordinates to the Twin Peaks Sheriff’s Station (now confirmed as the place to be) and a horrifying confession to Gordon, Albert, and Tammy that reveals Diane to have been…DUN DUN DUN…manufactured. 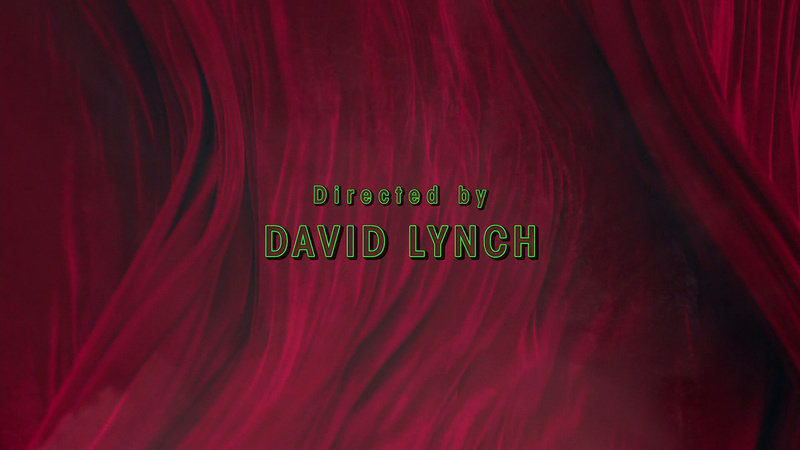 Lynch films these scenes like a jolt, all simultaneously brooding, revved up, and gasp-inducing. 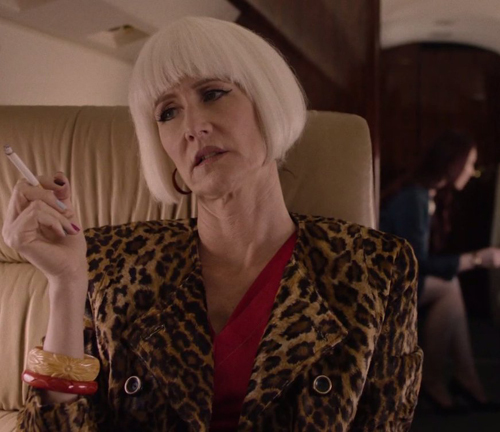 Laura Dern, in particular, delivers an astounding performance, rivaling her interview scenes from Inland Empire, but sped up for maximum effect. The pace here, after 15 laborious hours of meandering metaphysical and nostalgic nonsense (interspersed with the occasional atomic-level horror show) is a breath of fresh air that sooths while grabbing you by the throat. 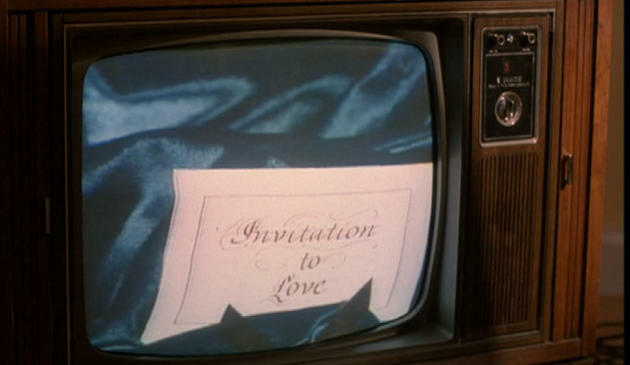 Some of the most delightful meta-moments in the first incarnation of Twin Peaks were the tremendously ridiculous snippets from the soap opera show-within-a-show, Invitation to Love. Each week a Twin Peaks character would take a pause during their own overly complicated day to try to catch up with the soapy theatrics, and we the viewers were treated to over-the-top dialogue about who was sleeping with who and who was plotting to kill who, a whirlwind of melodramatic trash where over-acting actors rambled on about people we had never seen or cared about – all, kinda ironic, in the context of the actual soap opera, Twin Peaks, we had become addicted to. Remember that movie Seven and the creepy mysterious box given to Brad Pitt, and how it turned out that Gwyneth Paltrow’s head was in the box? Remember what a shock and how gut-punching hearbreaking it was? Wow, how time’s have changed…and most people would now howl with laughter and delight at the idea Goop-y Gwynie’s head in a box. 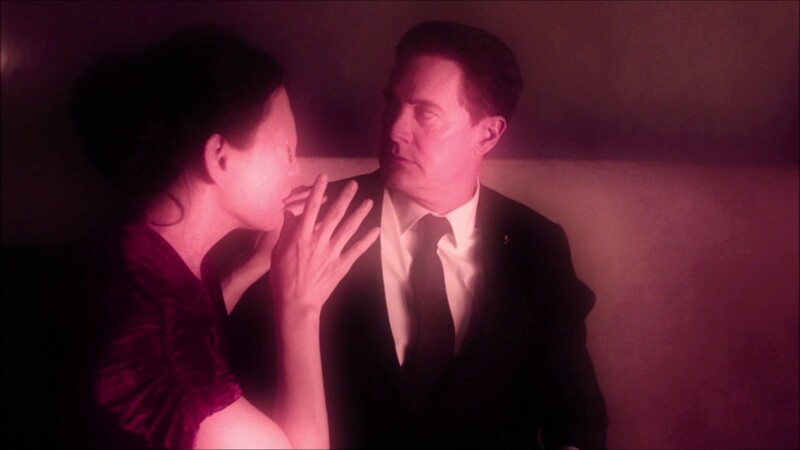 Well, there’s a mysterious box in this episode of Twin Peaks, too, and for a moment we wonder along with James Belushi (driven by a dream of what was in that box) and his brother, just what is in that box…carried by Dougie Jones…who they originally planned to kill. 1 Comment Posted in Art, Pop Culture, Psychology, Television, Twin Peaks - The Return: Complete Hour by Hour Guide Tagged Amanda Seyfried, Angelo Badalamenti, Bill Hastings, Bobby Briggs, Catherine Coulson, Cherry Pie, Cigarettes, Coffee, Dana Ashbrook, David Lynch, Deputy Hawk, Donuts, Gordon Cole, Gwyneth Paltrow, James Belushi, Kyle MacLachlan, Madchen Amick, Mark Frost, Matthew Lillard, Michael Horse, Robert Forester, Seven, Shelly Johnson, Sheriff Frank Truman, Showtime, The Log Lady, Twin Peaks, What's in the box? 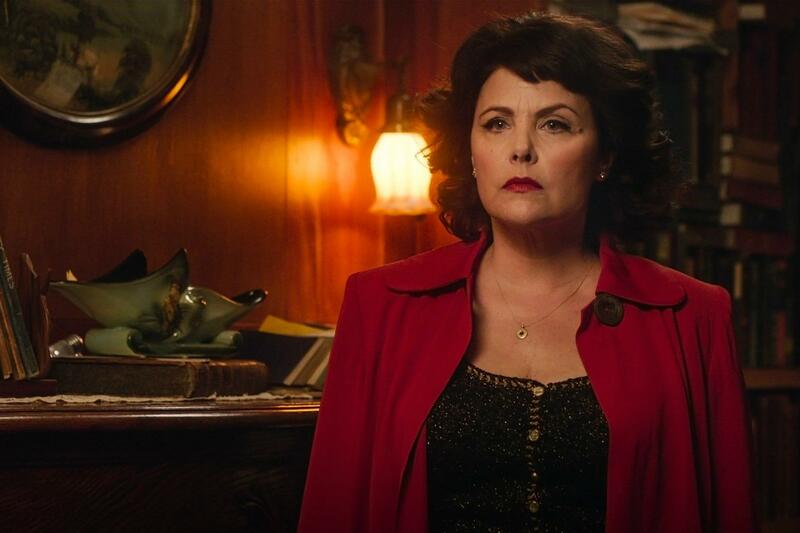 Critics have been saying that the Return of Twin Peaks has defied the normal episode by episode recap. More so than ever, I see my blogging about the Return as a diary capturing my thoughts, fears, sarcastic notes about plot points or performances, fan theories, (and yes, recaps) directly following each hour. 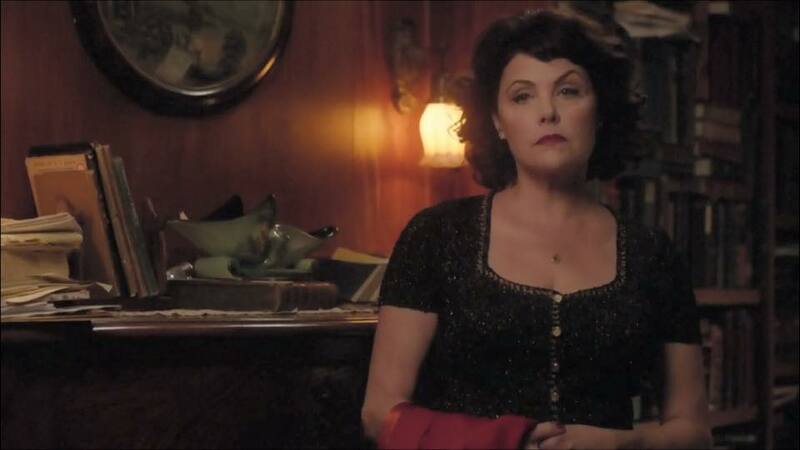 And blogging as a diary seems, well, hell…fitting, considering Laura Palmer and her own diary. And it was the Log Lady (the late great Catherine Coulson) who reminded Hawk (and us) just before Hour Ten’s end and a sterling performance by Rebekah Del Rio (that dress! that voice!) singing “No Stars” that indeed, yes…Laura is the one.